Set of cute funny bacterias, germs in flat cartoon style isolated on white background. 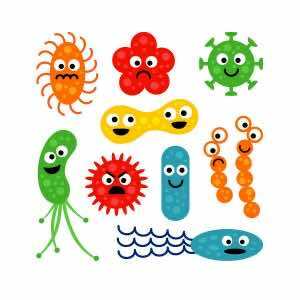 Good and bad microbes. Art vector illustration.